You’re shoved into an old arena with a rusted old sword in your hand. It feels as though its been forever since you’ve been moved last from your slave chamber, but perhaps this wasn’t the place you wanted to be moved to. The people in the arena cheer once they see a new challenger, while the main combatant rips off the head of the one unlucky survivor from the previous round, basking in his blood. You look on in horror as you’re forced to step forward and attack him, but as the battle wages on, you get a feeling inside of you, one that says. This is your first taste of the world in Legrand Legacy - Tale of the Fatebounds, developed by SEMISOFT. Here, you play as a young slave, Finn, who is taken on the adventure of a lifetime, joined by other colorful characters in a quest that lets him find out more about his friends, but also himself. The game is a classically styled JRPG which has attempted to be Kickstarted before, but unfortunately didn’t meet its mark, and now it is giving crowdfunding another try. The new campaign includes a demo for the game that lets the potential backer and player get a feel for what the controls, story and environment will be like, even in this pre-alpha state. I sat down with the SEMISOFT developers and asked them a few questions about their epic quest into the kingdom of Legrand as well as what mysteries may lie ahead. GameSkinny (Angelina Bonilla):Where did the idea of Legrand Legacy come from? What sort of media inspired you to make a game like this? 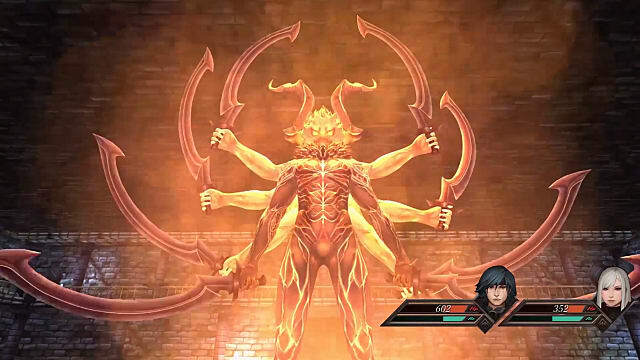 SEMISOFT (Henry "Uwil" William Winata): From many different RPGs that I’ve played in the past like Final Fantasy 4, 6, 7, 8, 10, Tactics, Suikoden, Legend of Dragoon, Xenogears, Dragon Force. Basically all the overwhelmingly successful RPG from SNES up to PS2 generation. GS: It’s been shown in all of the press material that Legrand Legacy has a variety of races with differing looks and abilities, do we get to learn the complex history of all of these races? Winata: Like most games, movies, TV shows, there is a limit of what you can put in it so yes you will get to learn the rich history and culture of each races but to really get into it, one must do one’s homework even outside of the original media. GS: About how long do you think Legrand Legacy will be when you’ve completed it? Winata: Playtime? 30 hours for storyline only, about 40-50 hours if you’re gunning for 100% completion. GS: Is there going to be side quests strewn throughout the story in addition to the main storyline, or will it be a strict, linear storyline, going from one point to another? If there’s going to be side quests, what sort of side quests will they be? GS: This is the second time you’ve come to Kickstarter after the first attempt at gaining funding failed. What is different about your campaign this time around? GS: What makes Legrand Legacy different from all of the other RPGs out there and why should people give your title a look as opposed to others that are in early access or in development right now? What makes you stand out? What makes your title stand out from the games you took inspiration from? Winata: What we’re trying to achieve with Legrand Legacy isn’t simply a game, we’re trying to create a whole new world, a new story that is a little bit different, and a new cast of characters that deal with issues that a lot of us can relate to. We filter out mechanics from past successful titles that works and implement them in the game. What doesn’t sit well with the crowd, we weed them out. Of course as a part of the creative industry, we do our part in infusing our very own recipe. GS: Will there be full voice acting when the game eventually comes out and if so, how many languages will it be available in? Winata: We sure do wish there is full voice acting but unfortunately not this time around. Maybe for our next game, we shall explore this possibility. As of this article, the game itself will be available only in English. Localization into other languages will also be explored. GS: In terms of combat, is there anything that the demo didn’t show us about the combat that will be revealed later in the game? Will it just be completely turn based with the party or will there be any wide scale battles with armies or vehicles? 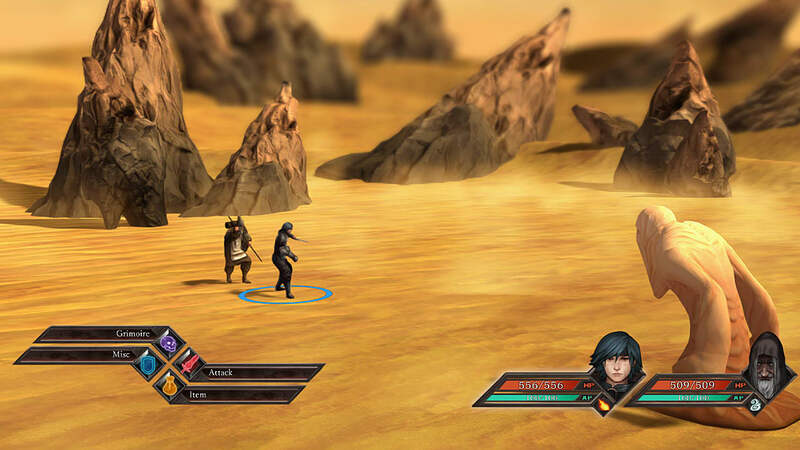 Winata: The demo is pretty much a vertical slice of the turn based combat system. But what it hasn’t shown are tactical war (with armies), and mini games! These features are most likely going to be introduced in the alpha and beta exclusively available to our kickstarter backers! GS: The city we start out with in the Demo is city where slaving and gladiator fights are part of the cities economy and culture. Does Finn ever revisit this place in the future and learn more about it from the other party members? Or do we find out more about it through the bits of info we are given and while we are searching in other places? Winata: While not spoiling anything, Finn will revisit the region again and players will learn more about the reason why slavery exists. Why humans are so mistreated by the Ahrimans. GS: Are you planning on making Legrand Legacy a franchise of games or is this gaming going to stand entirely on its own in the story department? Winata: That remains to be seen. 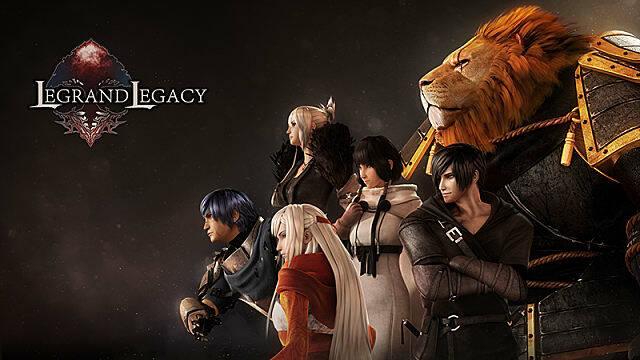 Personally, we do hope that Legrand Legacy can expand into a franchise. But we have written the story in a way, which can expanded into a lot of different directions. GS: If you had to compare the kingdoms of Fandor and Altea to real life Monarchies from the past or present, what would you compare them to? 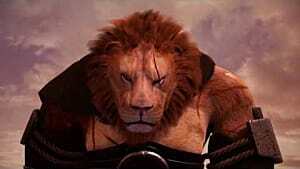 Winata: King Emeth of Altea is a pacifist, wise, and gentle king. He puts the crown first, sort of like Queen Elizabeth II. His firstborn Roland, who succeeded him, however is a complete opposite, the apple that fell far from the tree. Roland is power hungry, brutal, and heartless, he is Hitler in a fantasy setting. King Dulhallan of Fandor is bit of mixed bag. On one hand he is a doting father, but on the other, he’s tough, relentless, and a fighter through and through. He reminds me of Richard the Lionheart. A big thank you to SEMISOFT's Henry "Uwil" William Winata for taking time to answer my questions. Check out their Website, Kickstarter, Game Jolt, Steam, Twitter and Facebook for more information about Legrand Legacy. Keep an eye on SEMISOFT because from that demo alone, it looks like we’ll be seeing big things from them in the future.